Dr. Kim is a board-certified orthopedic surgeon specializing in foot and ankle surgery. He was raised in the Bay Area, where he attended El Camino High School in South San Francisco. He received his undergraduate education from the University of California, Irvine with a bachelor’s degree in chemistry. After college, he went to podiatry school at Samuel Merritt College, School of Podiatric Medicine and graduated amongst the top of his class. He was inducted into Pi Delta honor society, which is awarded to the top 5% of graduating podiatry students. Dr. Kim desired to expand his scope of medicine and thus pursued a medical degree at Wayne State University, School of Medicine in Detroit, MI. He was inducted into Alpha Omega Alpha honor society, which is an honor given to the top 1% of medical students, and became the chapter president of Alpha Omega Alpha. He graduated with High Honors and Distinction. He completed his orthopedic surgery training at the University of Washington, including working at Harborview Medical Center, the only level one trauma center servicing all five states in the Pacific Northwest. Given his podiatric background, he decided to specialize in foot and ankle orthopedic surgery. Dr. Kim completed a prestigious Foot & Ankle fellowship at the nationally renowned Hospital for Special Surgery/Weill Cornell Medical College in New York, NY, widely regarded as one of the best orthopedic hospitals in the U.S. His training there included tackling complex surgery of the foot and ankle such as ankle replacement, reconstructive surgery, sports medicine, fracture care, arthroscopic surgery, and deformity correction. Dr. Kim joined California Orthopedics & Spine because he wanted to return to the Bay Area and service the community. He is dedicated to helping patients return to their lifestyles and activities with the philosophy of always seeking nonoperative treatment and reserving surgery as the final option only when conservative treatment has failed. Dr. Kim will be serving and working with patients throughout Marin County, San Francisco, and the East Bay and will be operating at Marin General Hospital and Marin Specialty Surgical Center. 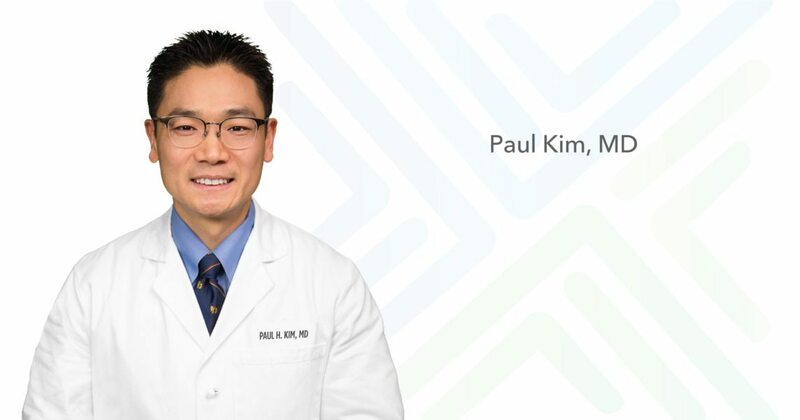 To learn more about Dr. Kim, please visit his webpage at www.paulhkimmd.com. Dr. Kim specializes in all aspects of foot and ankle pathology with particular interest in forefoot, midfoot, hindfoot, and ankle fractures; Lisfranc injuries; total ankle replacements; flatfoot and cavus reconstructive surgery; cartilage restoration techniques; Achilles pathology; ankle, hindfoot, midfoot, and forefoot arthritis; bunion correction; hammertoe correction; tendon pathology; and tarsal tunnel syndrome. He also performs general orthopedic procedures and fracture care. When surgery is necessary, he seeks to implement the most up-to-date evidence-based procedures and technology to provide the best outcome. MacMahon A, Kim PH, Deland J, et al. Return to Sports and Physical Activities After Primary Partial Arthrodesis for Lisfranc Injuries in Young Patients Foot and Ankle Intl. Publication pending. Kim PH, Chen X, Hillstrom H, Ellis S, Baxter J, Deland J. Moberg Osteotomy Shifts Contact Pressure Plantarly in the First Metatarsophalangeal Joint in a Biomechanical Model. Foot and Ankle Intl. Sept 2015. Krengel WF, Kim PH, Wiater B. Spontaneous Ankylosis of Occiput to C2 following Closed Traction and Halo Treatment of Atlantoaxial Rotary Fixation. Global Spine J. June 2015. Kim PH, Ellis S. Re-rupture of surgically repaired tendoachilles. Grand rounds presentation in Morbidity & Mortality. Hospital for Special Surgery. New York, NY. November 2014. Kim PH, Ferguson T, Ganz R. Case Presenter on Acetabular Fractures in Elderly = Fix it, Replace it or Leave it? University of Washington Department of Orthopaedics LeCocq Lectureship. Seattle, WA. April 2014. DePuy Synthes Institute Advanced Concepts of Joint Arthroplasty for Senior Resident Symposium. Participant. Rosemont, IL. September 2013. Kim PH, Brage M, Hansen ST. Why are we still talking about bunions? = Revisited. Grand rounds presentation at University of Washington Department of Orthopaedics. Seattle, WA. September 2013. Kim PH. Prospective Comparison of Ankle Arthroplasty and Arthrodesis. AAOS paper presentation. Chicago, IL. March 2013. Kim PH, Leopold SS. Gustilo-Anderson Classification. Clin Orthop Relat Res. May 2012. Kim PH. Panel speaker on “How to get into Orthopaedic Residency.” Orthopaedic Surgery & Sports Medicine Interest Group at the University of Washington, School of Medicine. Seattle, WA. March 2011. Kim PH. Case Presenter on Supracondylar Humerus Fractures in Children. L.T. Staheli Seattle Children’s Pediatric Orthopaedic Seminar. Seattle, WA. January 2011. AONA Basic Principles and Techniques of Operative Fracture Management Course. Participant. Ft. Lauderdale, FL. September 2010. Kim PH. Case Presenter on Complex Pelvic Ring Injury. University of Washington Department of Orthopaedics 1st Annual Trauma Symposium. Seattle, WA. June 2010.